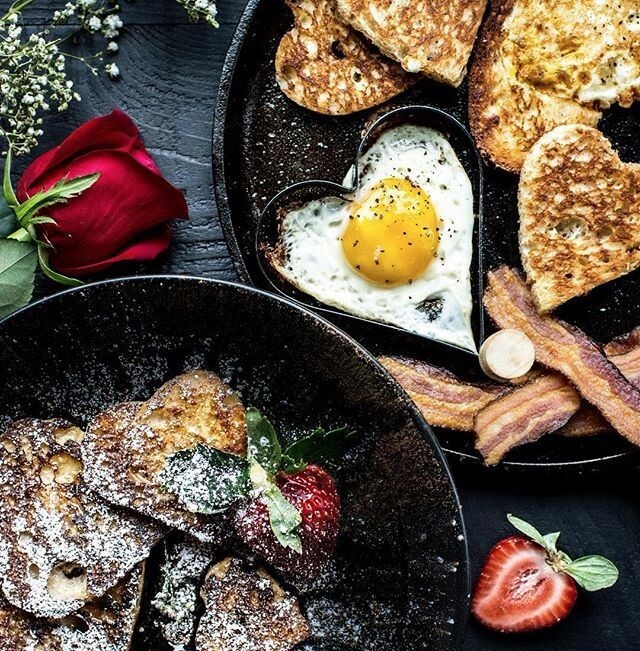 Pamper your Valentine with a homemade breakfast, dinner or dessert. 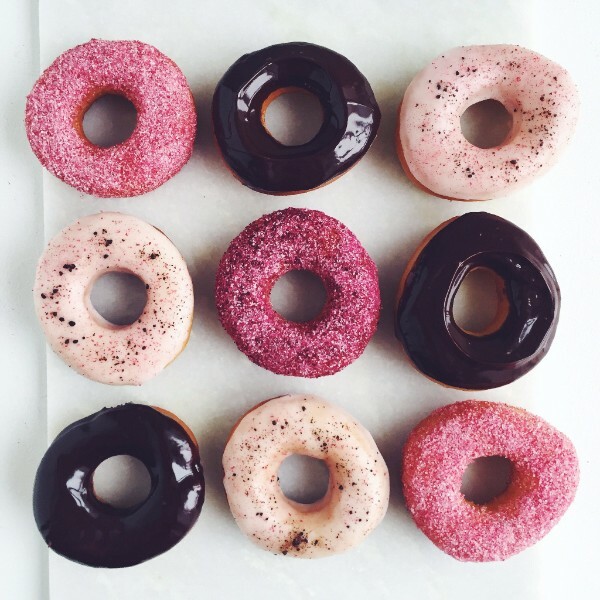 Here are our favorite recipes for Valentines's Day! Because who doesn't love to wake up to the sounds and smells of someone ELSE making a homemade breakfast?!? Prep the dough the night before, wake-up and let the frying begin! 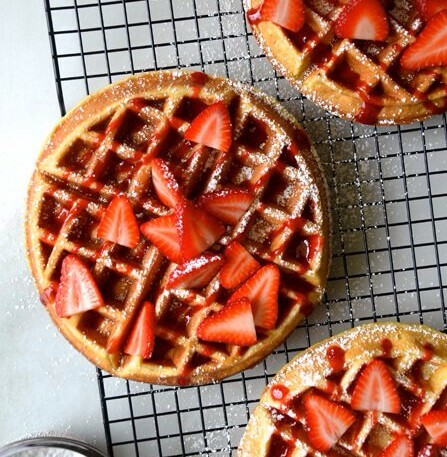 Follow this foolproof buttermilk waffle recipe, or substitute with your go-to! Simply cut hearts out of toast & pancakes with a cookie cutter, and then use it to fry an egg or two in the shape of a heart. It's not Valentine's Day without chocolate. 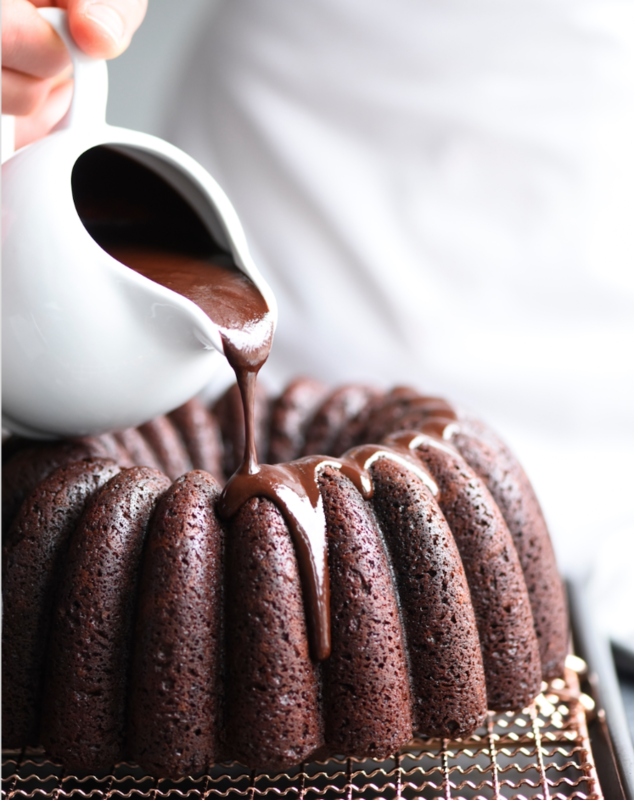 We promise you'll love this double chocolate bundt cake just as much as we do. 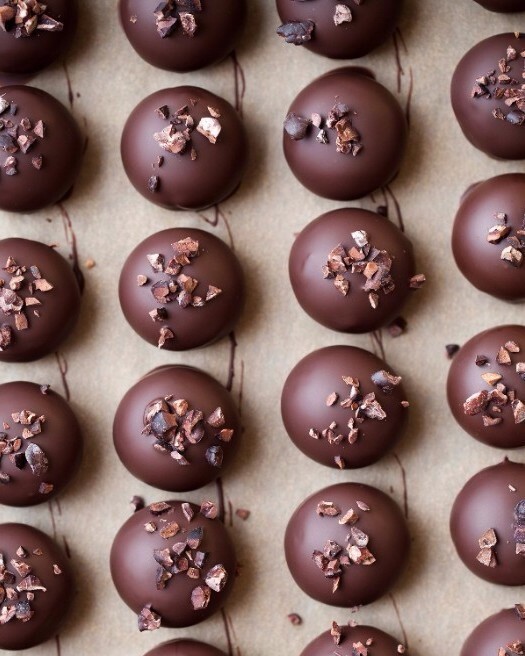 As @now_forager says, it's important to use high-quality chocolate for these decadent truffles. Follow her instructions carefully for a truly special treat. 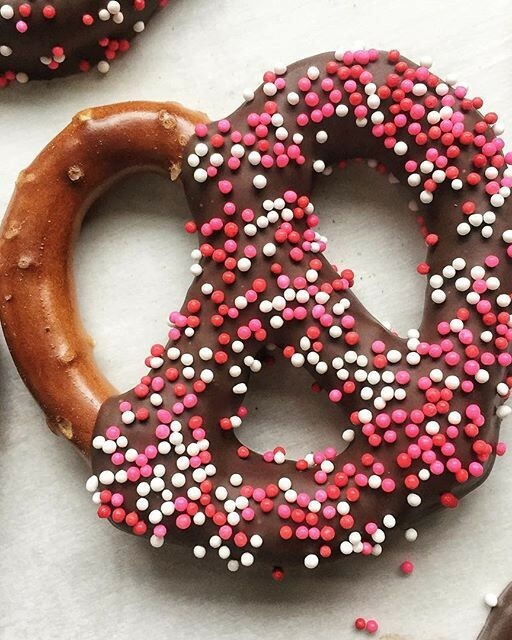 For a slightly simpler alternative, dip your favorite pretzels in dark chocolate and sprinkles. You can't go wrong with sweet & salty! Instead of booking last minute reservations, opt for a special dinner at home. 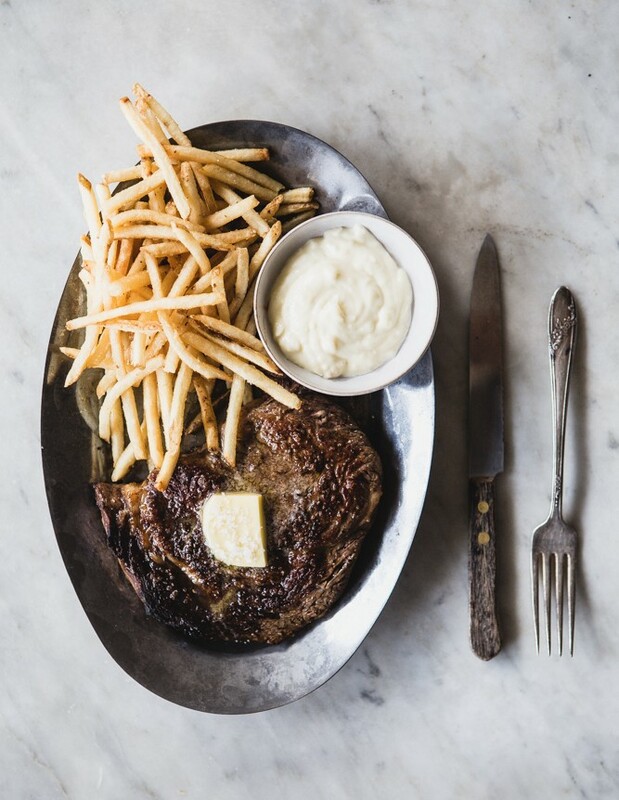 Perfectly seared, tender steak with a heaping serving of homemade fries...oh yea! 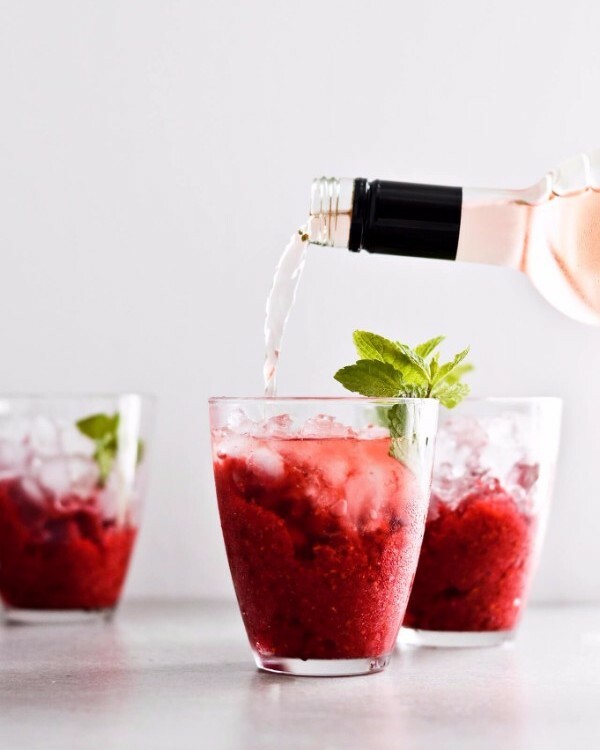 Rosé (not just for summer) is poured over homemade raspberry granita for a romantic cocktail. 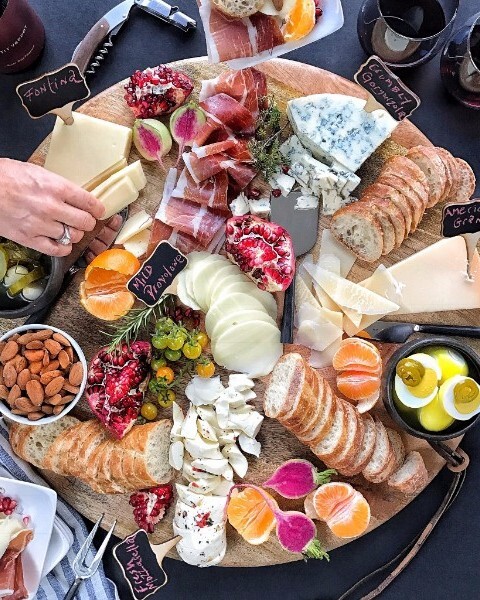 Or you could just enjoy a cheeseboard for dinner together?! Feeling ambitious? Bake up one of these spectacular cakes. 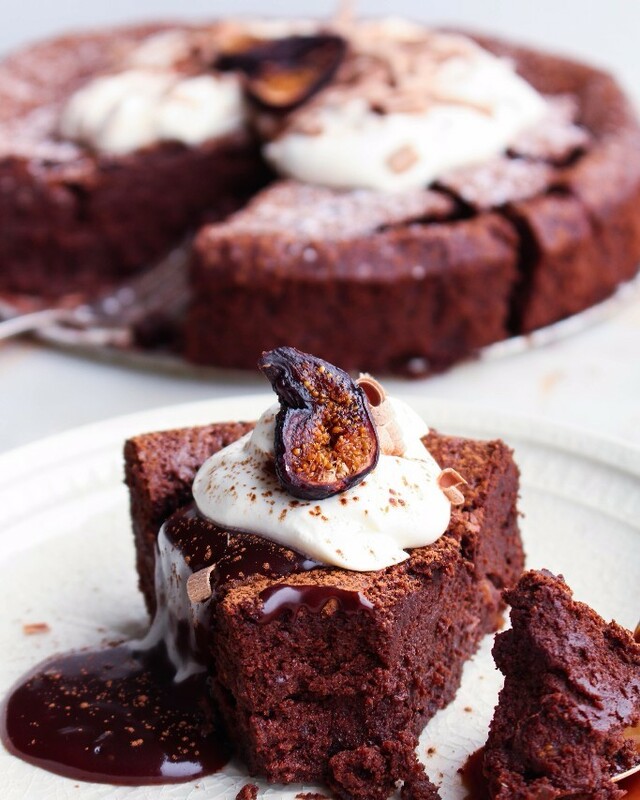 This dense, flourless chocolate cake is pure decadence. 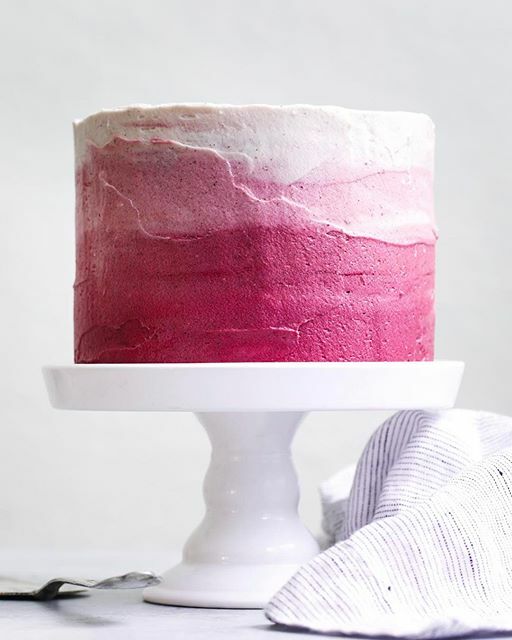 Six chocolate layers filled with raspberry jam! Get creative and show your love with a homemade gift. 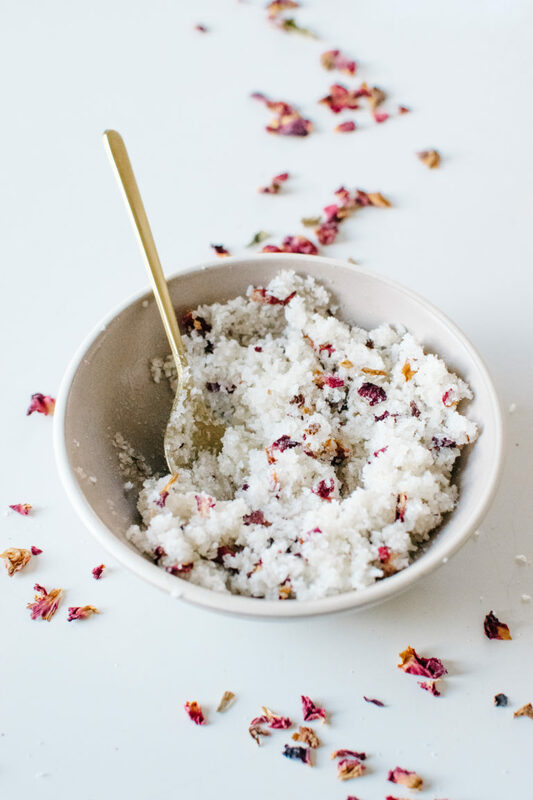 This fragrant sugar scrub takes less than 10 minutes to make. Package in a small jar for gifting (or treat yourself)! 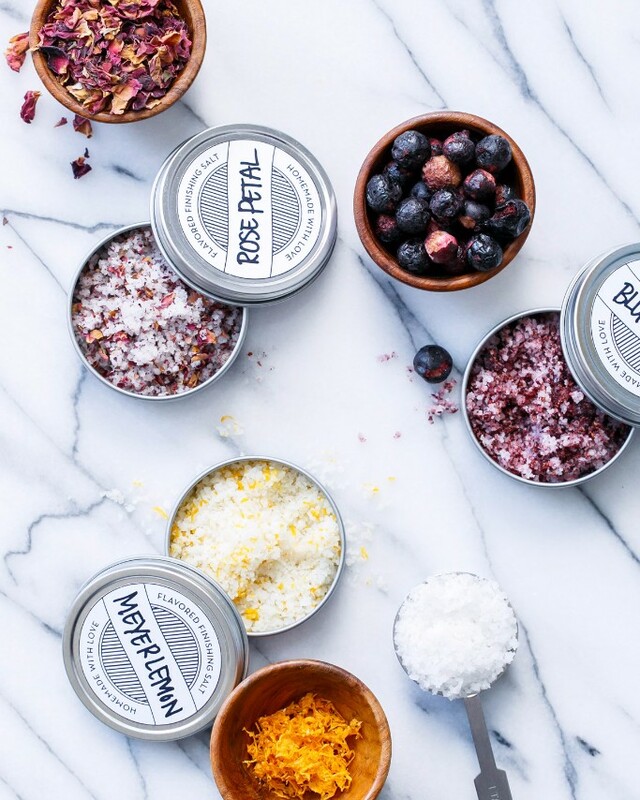 Homemade flavored finishing salts are a thoughtful gift for the foodie in your life. 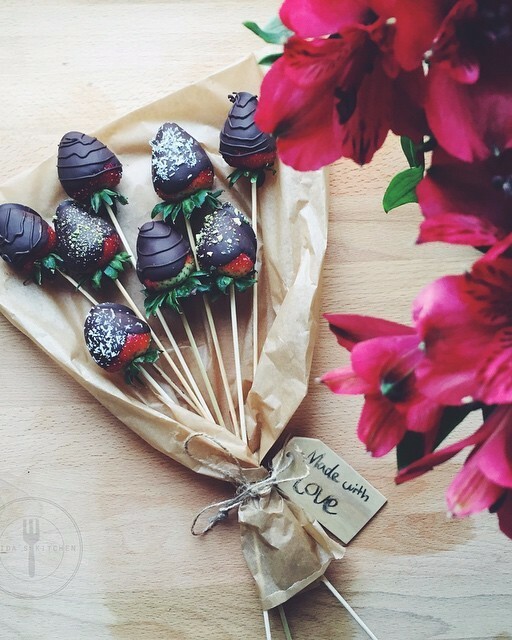 An edible alternative to expensive flowers! 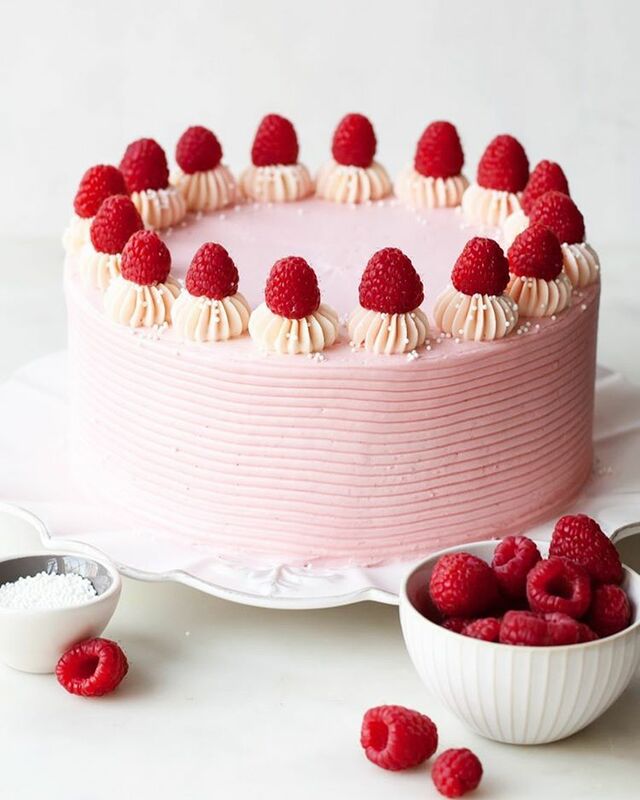 Get 50+ More Valentine's Day Recipes Here!